Snelgrove, Eric and Olive. Vegetable storage in their historic Quidi Vidi home. Photo courtesy of Memorial University's Digital Archives Initiative. What is your weekly meal pattern? Do you have one? Have you ever followed the one below? Today I have a short video clip of Roy Hiscock of Champey’s West which is located on the Bonavista Peninsula in Trinity Bay, NL. If you saw the video earlier in the week of Ben Hiscock, Roy is Ben’s older brother. During a trip to Port Union and Champney’s West doing some workshops Dale and I interviewed these two older members of the community. In the short video Roy describes the meals the family would eat during the week. 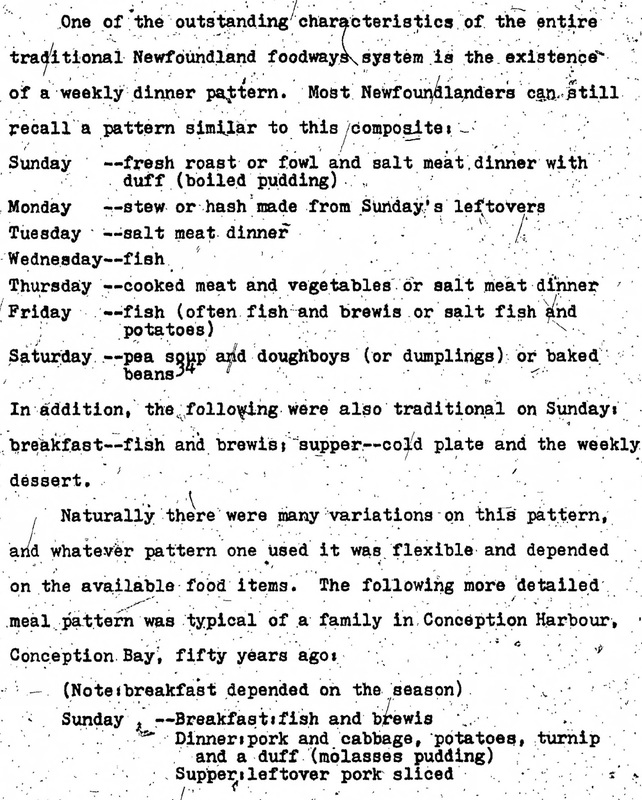 I did a quick search on Memorial University’s DAI and came across a thesis on traditional Newfoundland foodways written by Pamela Gray in 1977. 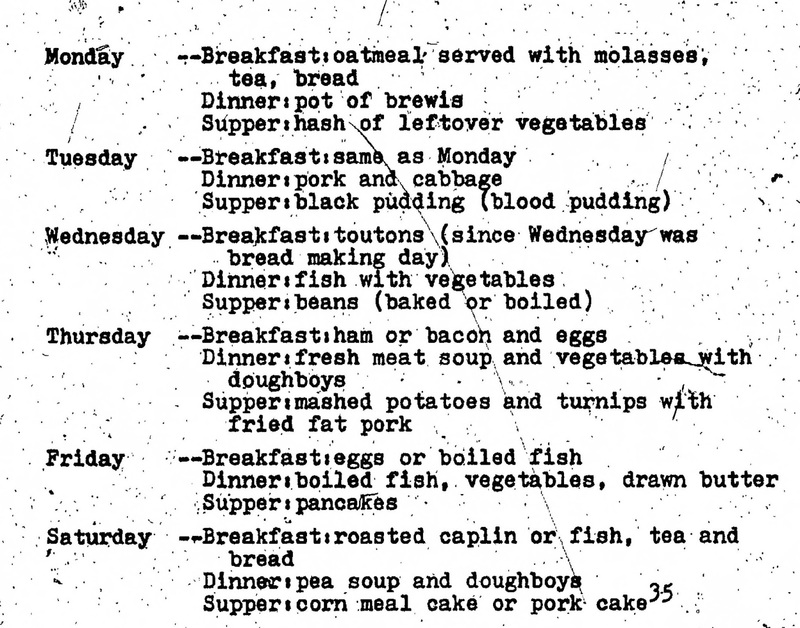 I included two pictures below of Gray’s work with examples of weekly meal pattern. 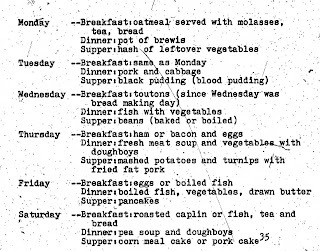 I’ve seen the tradition of the weekly meal pattern mentioned in other articles but it isn’t something my family followed growing up. How about your family - do you follow a weekly meal pattern? 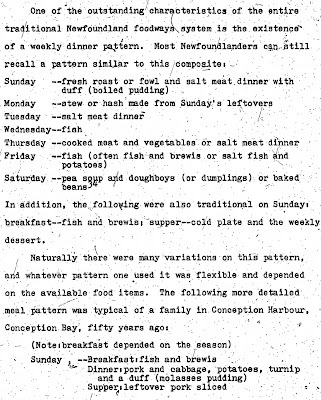 Is it similar to these examples of the traditional weekly meal pattern? 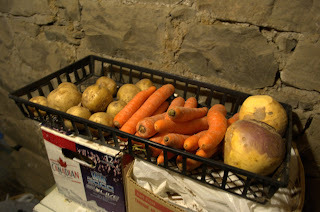 Do you still have a cooked dinner (Jiggs dinner) on Sunday? Let us know in the comments below!